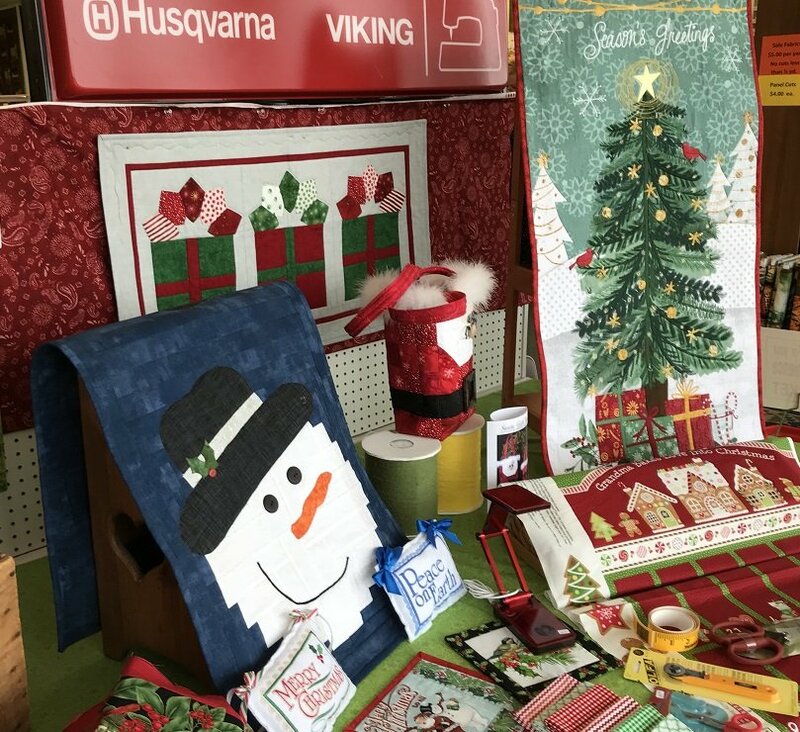 We have lots of great Christmas ideas for your holiday shopping and sewing projects; stop in and take a look! Purchase a $25 gift certificate and receive a $5 gift certificate for free; offers good through December 24th. ***Fees for all classes must be paid in advance. For many of the classes we provide a kit of materials- and in some cases, do some of the cutting --so that you can just sew in the class time. Therefore, we must have payment before we prepare a kit for you. If we do not provide a kit for the class—any materials required for the class receive a 20% discount. If you call in with a class registration, be prepared to give us your credit card number for payment or you will have 7 days to send us a check. We can not hold spaces longer than that without payment!! We often have a waiting list for classes, so if for some reason you must cancel, please give us a 24 hour notice. (You will be given a class fee refund certificate with 24 hour notice only.) We do provide machines for classes; however you can always bring your own machine if you prefer. Be sure to bring the power cord, foot control and any other accessories that you might need.